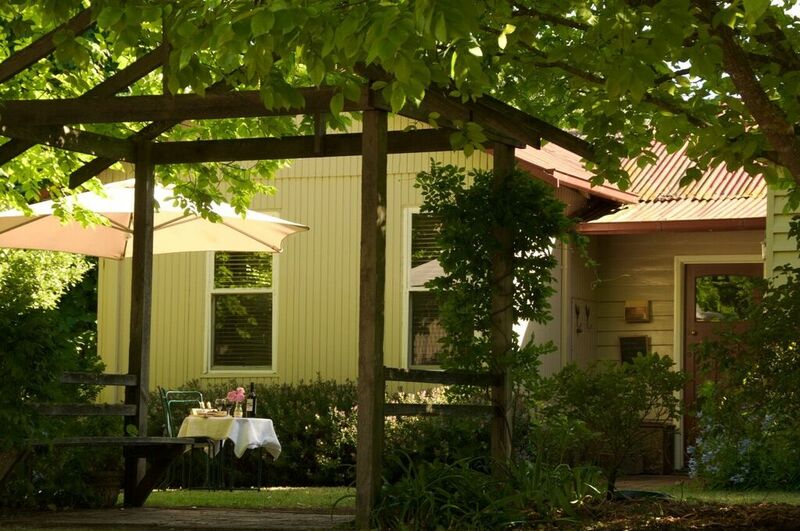 Alexandra Farmstay is a 75 acre property situated in a quiet valley 5km north east of Alexandra. Maybole Cottage is the original homestead on the farm, set amongst inviting gardens and spectacular views, this cottage has been lovingly restored so it retains the charm and atmosphere of past times but with facilities provided to ensure a comfortable holiday. Maybole Cottage is the only holiday rental on the farm, so you essentially have the place to yourself. Book up to 3 bedrooms and we will help to tailor your experience; whether you need a romantic holiday for two, a family fun experience playing games and feeding the animals or you are a larger group and would like a bit of everything. We are situated within 2km of the Great Victorian Rail Trail, some spectacular road bike loops like Skyline Road and close to the Buxton Mountain Bike Park. So whether you enjoy riding your bike down hill, touring, or going for day trips, Alexandra Farmstay provides the perfect base.